Q) What are the advantages of installing artificial turf in my indoor sports facility or as a lawn replacement? A) Artificial turf is a great option for either application. In your indoor sports facility, gym or training center it provides a layer of protection between the concrete floor and your athletes. It also allows you to create a new workout area in your gym for functional fitness such as sled pulls, tire flips and more. Turf also improves the look and feel of any area. The advantage of artificial turf used in place of natural grass is that you will save considerable time and money over the years by not paying for fertilizer, lawn mowers, and gasoline, while having a beautiful lawn at the same time. Your lawn will stay green all year with little maintenance! Q) How much does artificial turf cost? A) Artificial turf pricing varies by the type and size. See all of our turf options for specific prices. Q) How is artificial turf installed? A) Check out our detailed installation instructions for both indoor and outdoor turf applications on the On Deck Sports Blog. 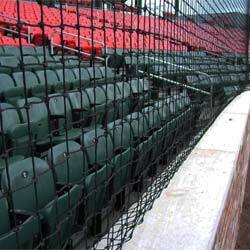 Q) How wide are the rolls of artificial turf sold by On Deck Sports? A) Our turf comes in 12-foot and 15-foot widths. This varies based on the product. Full details can be seen on the individual product pages. Nearly all of our turf rolls can be cut to fit your project – contact one of our artificial turf experts with any custom projects. Q) How do you clean artificial turf once it is installed? A) Artificial turf is relatively easy to clean depending on the project. Most outdoor turf can just be cleaned with a hose or leaf blower, while most indoor turf can be cleaned with a vacuum cleaner or power washer. For a full breakdown of how to clean your turf, check out the On Deck Sports Blog Post: How to Clean Artificial Turf in Indoor Facilities. Q) Is artificial turf drainable? A) Many of our unpadded artificial turf options are drainable. There are some exceptions, however, so checking the item detail page or contacting an On Deck Sports sales representative is suggested. Our padded artificial turf – most often used for indoor turf applications – is not drainable. Q) Is artificial turf pet safe? A) Yes, our outdoor artificial turf options are pet safe. When used outside, it can easily be cleaned with a hose. The plastic backing is porous so water and pet urine will absorb into the ground just like on natural grass. Other pet accidents are cleaned in the same way as on a regular lawn. Q) Can my turf ship ground via UPS or FedEx, or will it come on an 18-wheel truck? A) Generally, turf smaller than 15' x 7' can ship ground, and anything larger will be a truck shipment. Q) Where does On Deck Sports ship to? A) On Deck Sports ships worldwide. Our displayed shipping information applies to the continental United States, and is subject to change. For shipments to Alaska, Hawaii, Canada, and other countries, our sales staff will give you a customized quote to your destination. Q) Where will my turf be shipped from? A) All artificial turf orders are sent from our Georgia distribution center. Q) How long does it take for turf to ship? A) Shipping depends on the order and on your shipping location. We do offer expedited shipping – please contact a sales representative for more specific information. A) Infill is a fine sand or rubber tires that have been ground into a fine crumb that goes on top of longer turf options. This helps the blades of turf stand up – extending the life of the turf. It also provides a level of protection from the ground. Some products can be filled with all sand, some all rubber, and some do well with a combination sand/rubber mix. Q) What are turf spikes? A) Turf spikes (6" long) are used to secure an outdoor turf down to the sub-base, roughly every 12-18 inches around the perimeter and along the seam. Q) What is the life expectancy of artificial turf? A) When properly installed and maintained, turf can be a long-lasting option. Our outdoor turf (PT Pro, PT Pro 50 & PT Pro 90) generally can yield 15-20 years of use. This can vary depending on your location, the elements and the level of use. Our indoor turf (SC34, Stadium, Arena & Elite) carries a life expectancy of 8-15 years depending on use. These times can vary with a number of factors, but are good estimates of how long your artificial turf’s life expectancy. Q) What does “face weight” refer to? A) The ”face weight” refer to the amount of turf material per square yard. For example, a 36-ounce piece of turf will seem sturdier than an 18-ounce piece of the same yarn type, because there is more yarn in the same size piece of turf. Q) What does “yarn type” refer to? A) “Yarn type” refers to the material used to create the artificial turf. There are three yarn types when it comes to our artificial turf. 1) Nylon turf is the most durable turf we offer. It is the most durable and generally the longest lasting. This yarn is perfect for high traffic areas, gyms or training facilities. 2) Polypropylene monofilament, also known as "mono", turf is a more rigid turf. This makes it a long-lasting option that can be used in nearly any application. 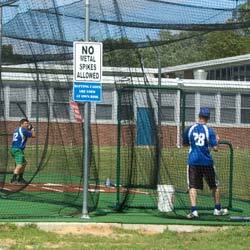 3) Polyethylene, also known as "poly", turf tends to be a softer material. 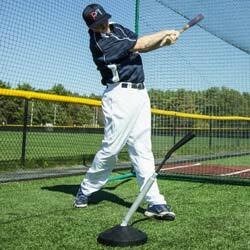 This makes it perfect for full field options and batting cages. Q) What does “backing” refer to? A) Backing refers to the material on the back of the piece of turf and comes in two forms, Padding and "Unitary." Padding is made of a foam material which provides a more "cushiony," softer feel when walking on the turf. The padding can vary in thickness and typically comes in 5mm, 3mm, 5/8 in or 3/8 in. 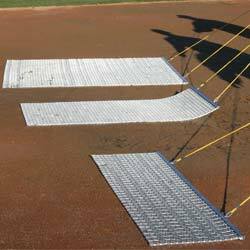 "Unitary" backing is a thin, hard, plastic material underneath the turf blades. This can be perforated for drainage or not. If you have any questions about artificial turf, contact one of our experts for more answers. You can call 800-365-6171, email info@ondecksports.com or fill out our form.